Keeping your skin well moisturized and beautiful is an important part of your skincare routine. And a body lotion is one of the best ways to do it. You’ve got the perfect combination to keep your skin looking and feeling great. Vitamin C has protective and anti-aging properties. It can help to reverse the hands of time and restore your skin to a more youthful state. But, there are many lotions available on the market. And honestly, a lot of them are not that good. 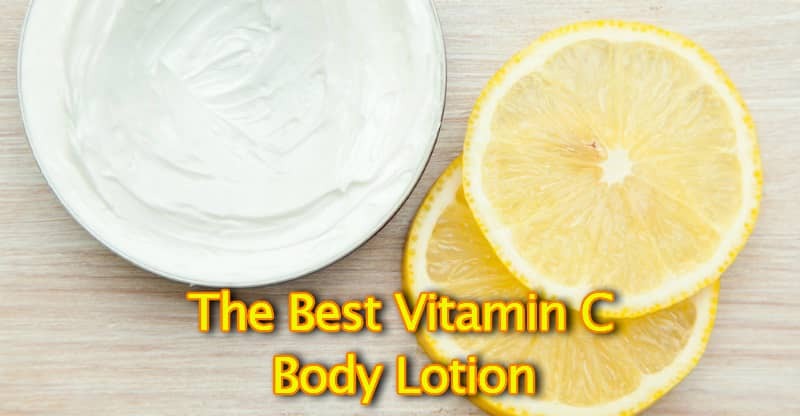 There are some important things to consider when looking for the best vitamin C body lotion. In this buying guide, we’ll tell you how what to look out for. And show you our top-rated products that are available on the market today. 1.1 How Much Vitamin C Is In The Product? 1.2 What Other Ingredients Does It Contain? There are a couple of key things to look at when searching for a quality product. How Much Vitamin C Is In The Product? 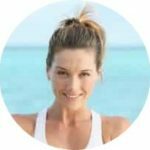 As you are hoping to get the benefits of vitamin C for skin care you want to make sure that the product you are buying actually contains a decent amount of it. Now, you might be thinking that a product advertised as a vitamin C lotion is going to contain this as its main active ingredient. But unfortunately, this is often not the case. You see, the problem is that the inclusion of vitamin C is a big selling point. But, when you check the ingredients list, you see it listed somewhere down at the very bottom. Which means that it only contains a very small amount. Often not enough to make a real difference. This is a problem with the majority of lotions that we’ve looked at. Ideally, you want to see it listed as close to the top of the ingredients list as possible. High-quality lotions contain lots of natural ingredients with benefits for the skin. Instead of a long list of synthetic chemicals. Which makes it important to check what it contains. Now, not all chemicals are bad for the skin. And the vast majority of lotions will contain at least some in very small amounts. Often as preservatives. They have a bad reputation for causing skin and health concerns. All of our recommendations are free from these unwanted additives. We prefer this product over any other vitamin C body lotion available. It has a high 15% concentration of sodium ascorbyl phosphate (vitamin C). And comes in a good sized 8-ounce bottle with a pump lid. It’s made in the USA, is animal-cruelty free, and suitable for vegans. This product has been formulated so that it’s good to use on your face as well. It’s a very light moisturizer that’s easily absorbed. There’s no greasy finish, it makes skin feel smooth and soft to the touch. This product from Eva Naturals comes in a 1.7 oz bottle. It contains 15% vitamin C (sodium ascorbyl phosphate). We really like the ingredients in this product. But, a drawback is that it only comes in a small bottle. So it’s used up pretty quickly if you’re applying it to your body. It’s good at keeping skin soft and moist. And it can also be used on the face, with people reporting that it keeps skin looking smooth and young. This lotion from Sanitas comes in an 8 oz tube. It contains tetrahexyldecyl ascorbate (vitamin C) at an unspecified percentage. However, it’s the third ingredient at the top of the list which indicates that there is a decent amount of vitamin C in this product. 1. A good time to use your body lotion is after you have just showered or come out of a warm bath and you are clean. 2. You should look to apply it when your skin is still moist. This aids penetration of the beneficial ingredients in the lotion as they dissolve in water, and when the lotion has dried on the skin penetration decreases. 3. When your skin is warm, things are absorbed better. This is another benefit of using them after you’ve washed with warm water. 4. Gentle exfoliation of the skin, removing the dead cells from its surface, can also help with penetration. Exfoliation is best done while you wash, so you can apply the lotion afterward. If you are looking to keep your skin well moisturized, or if you are looking to deal with dry and irritated patches of skin on your body or face, a vitamin C lotion can be of great help. Because of the vitamin C it contains, it can also help you with its anti-aging and photoprotective properties (1), helping to keep your skin looking young and beautiful. And even helping to repair areas of old and damaged skin. Including boosting collagen production to reduce lines and wrinkles (2). For this review, it was hard to find top-notch products that could meet our criteria. But we are happy to recommend the lotions listed above. The best body lotion with vitamin C in our opinion is Amara Organics.